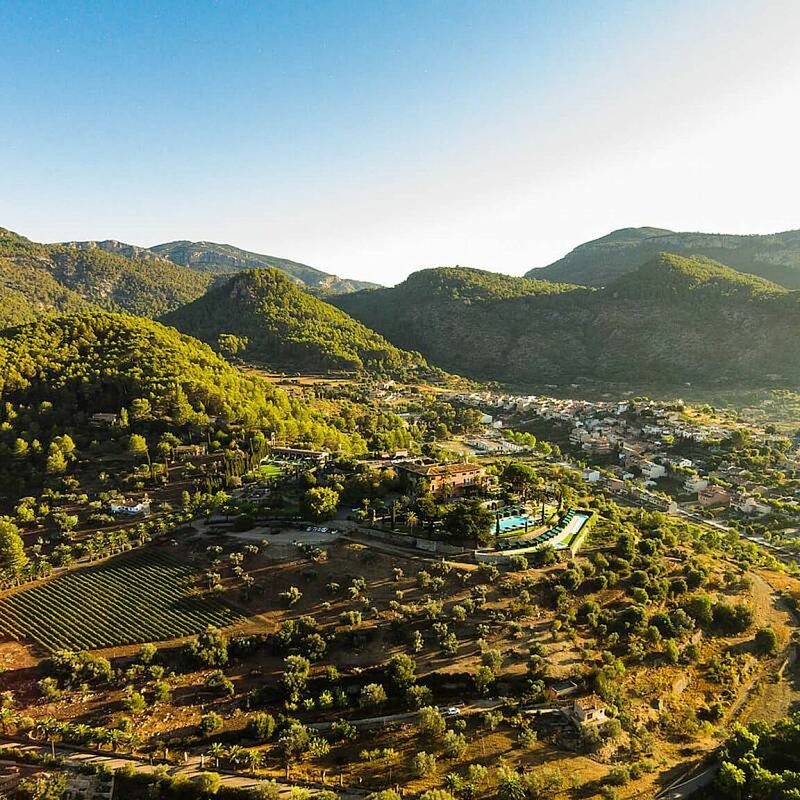 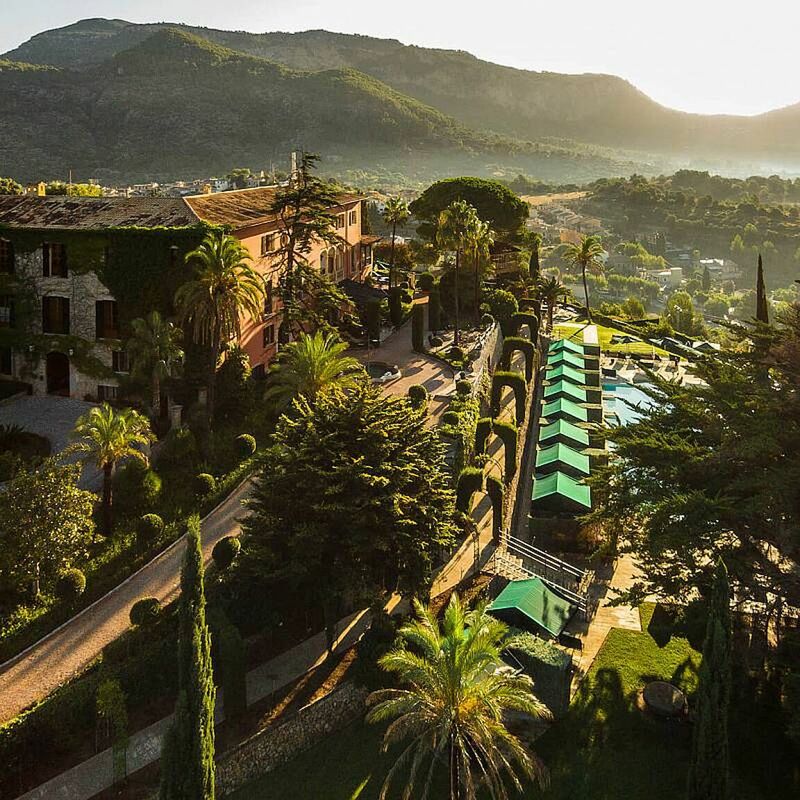 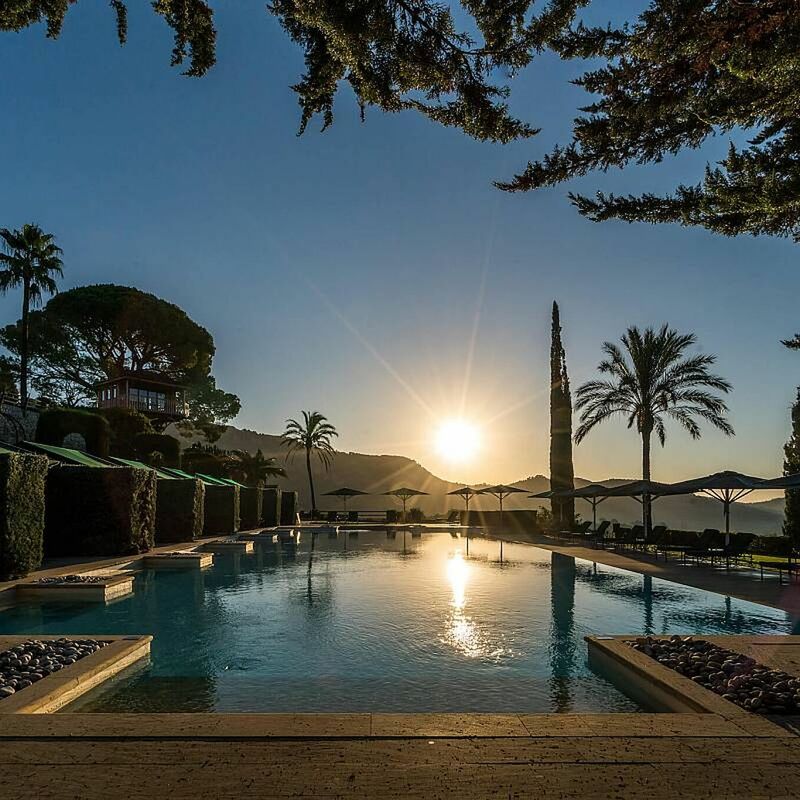 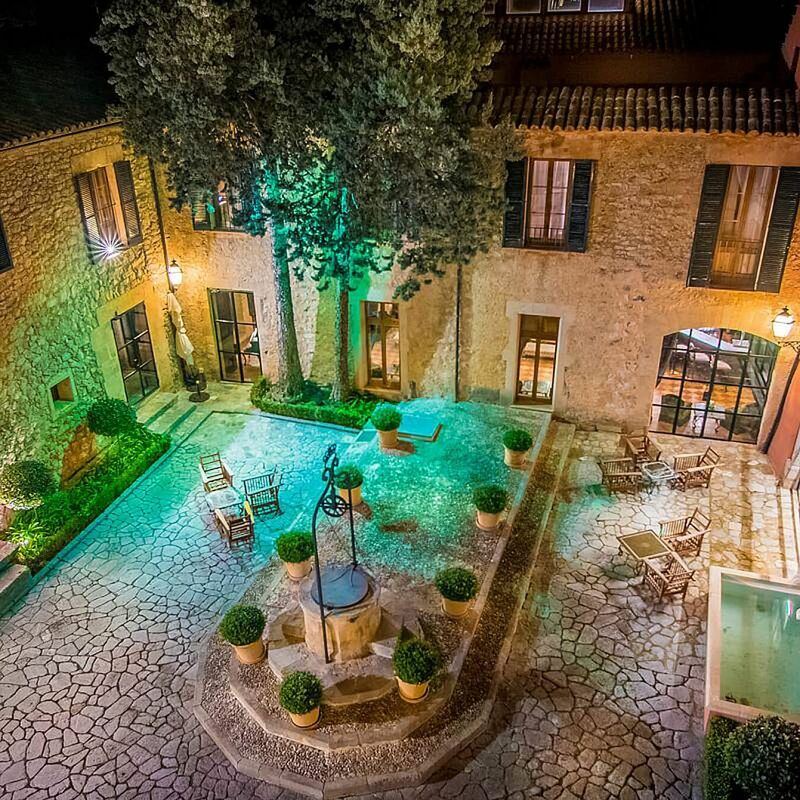 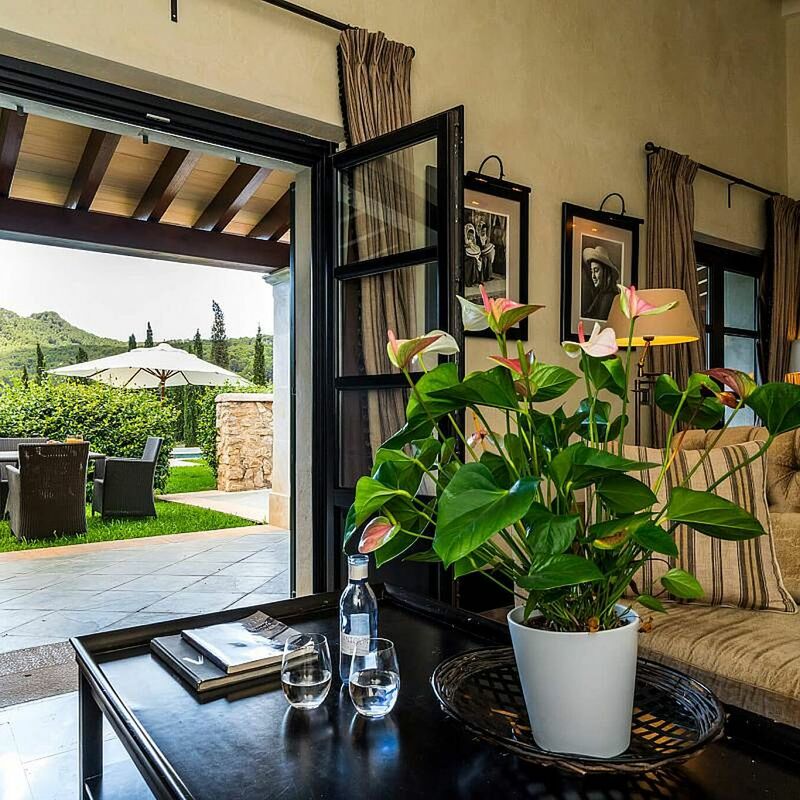 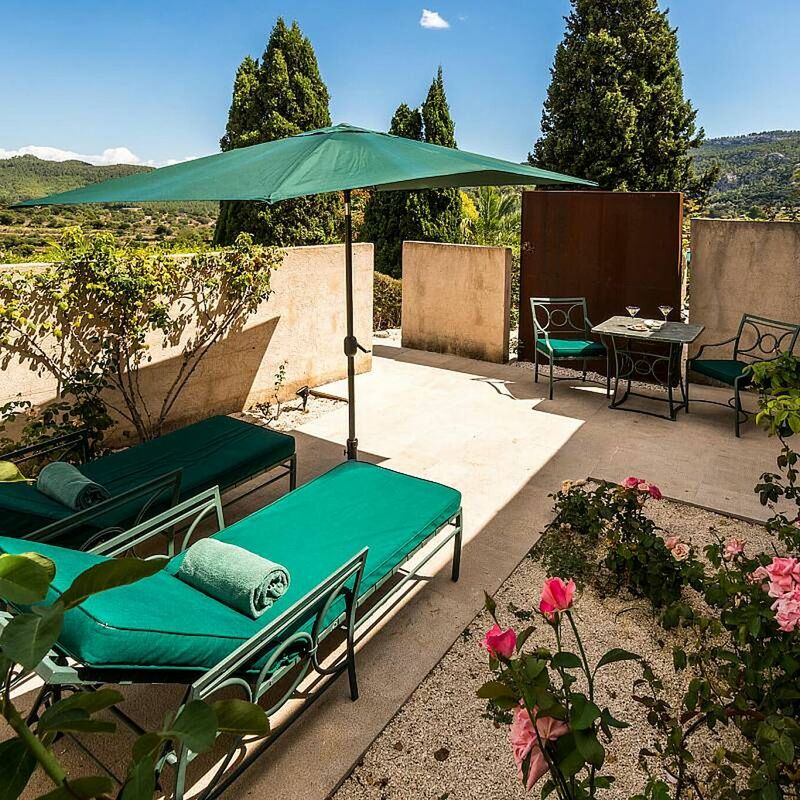 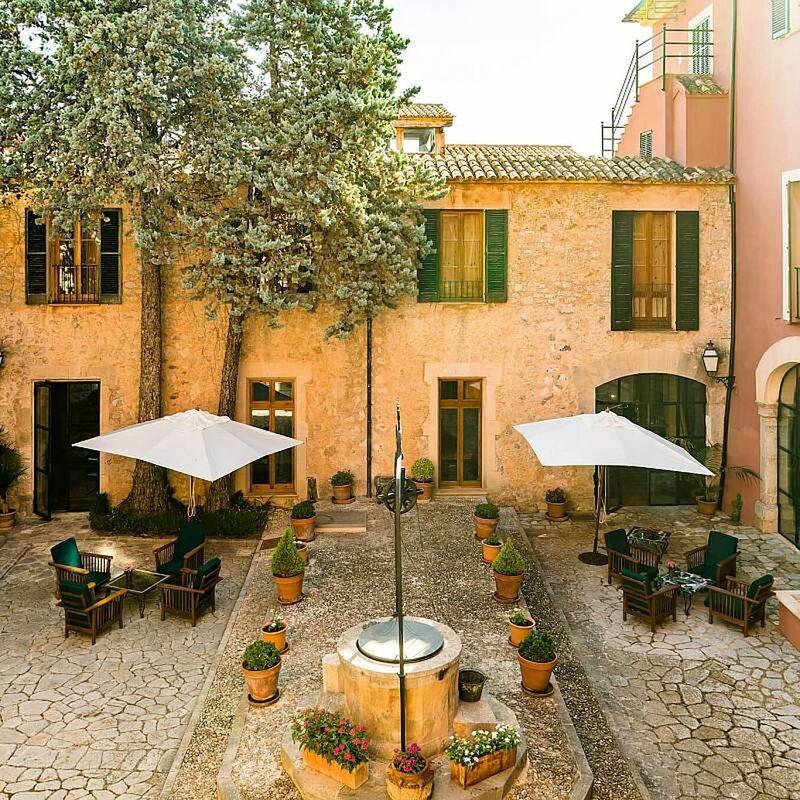 This elegant hotel in a historic finca is set in a tranquil location in the World-Heritage Tramuntana mountains,15 minutes from Palma. 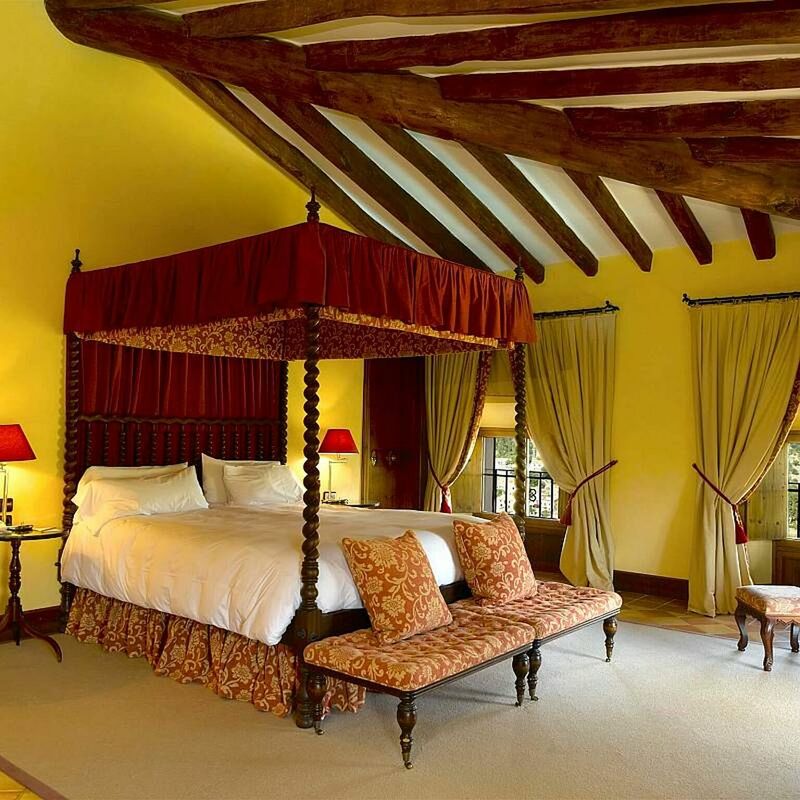 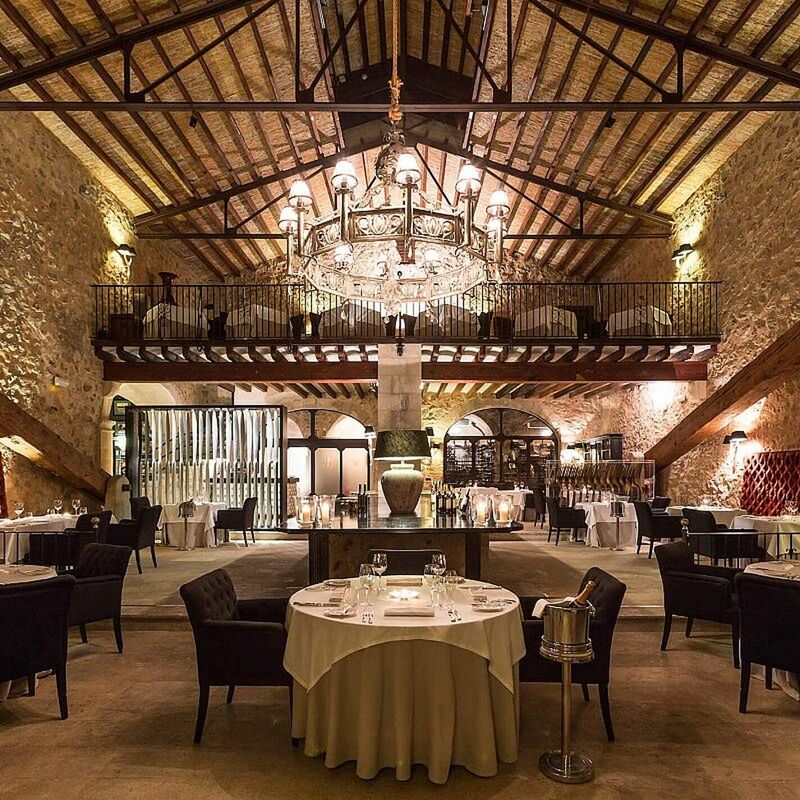 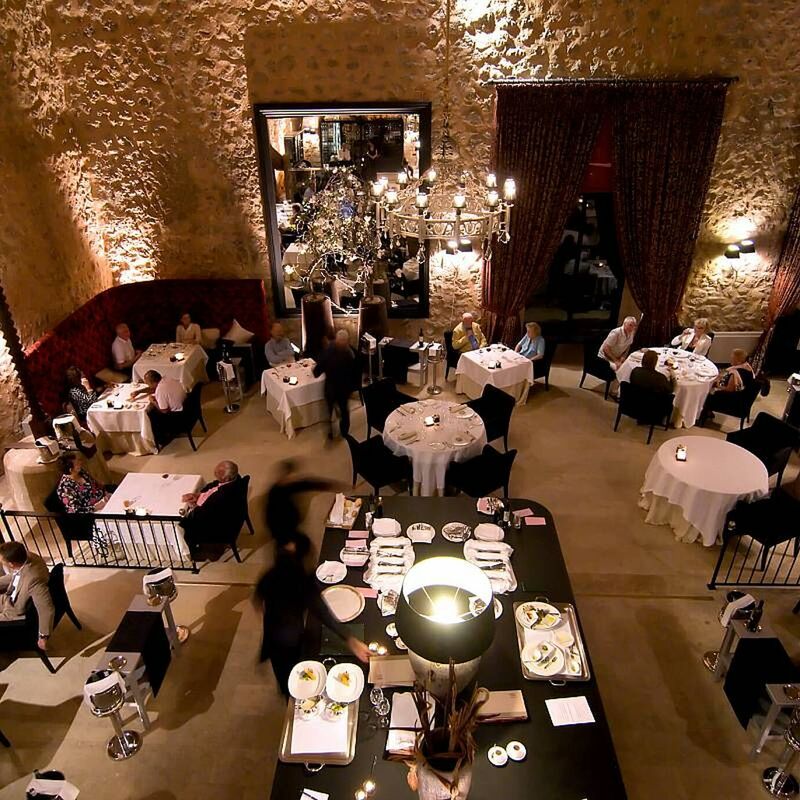 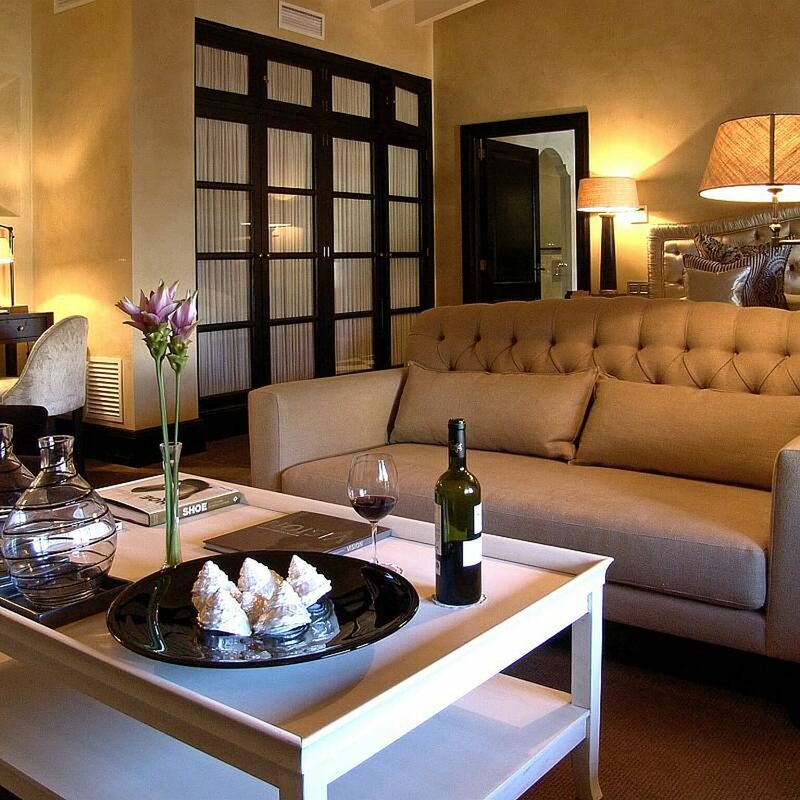 The large dining room is set in a beautifully-preserved old olive press and the hotel has its own vineyard. 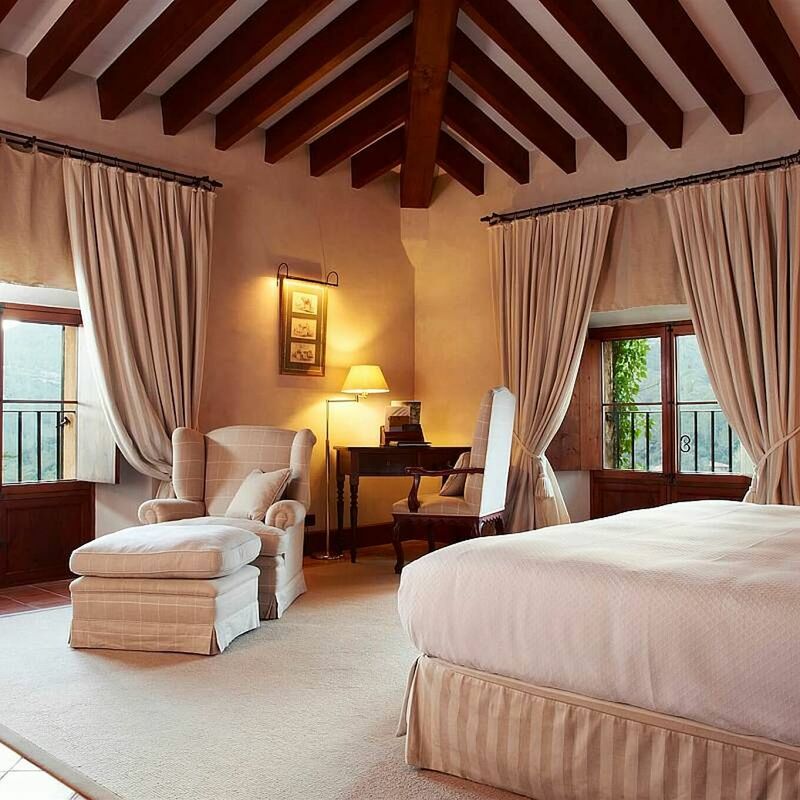 There are 31 beautifully decorated rooms and suites. 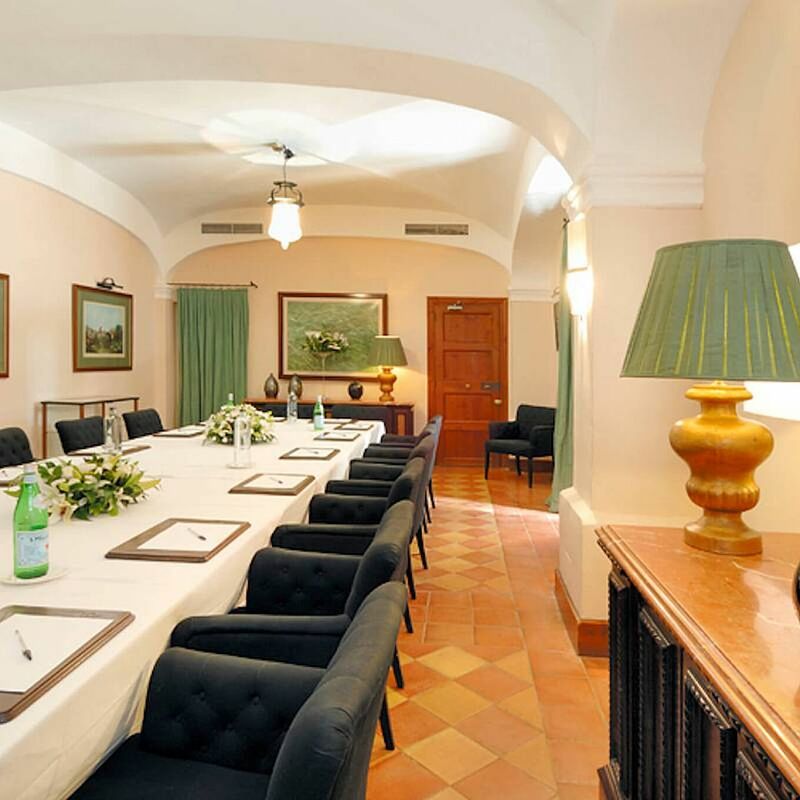 There are also meeting rooms for up to 65 people and a large terrace with a capacity of up to 200.